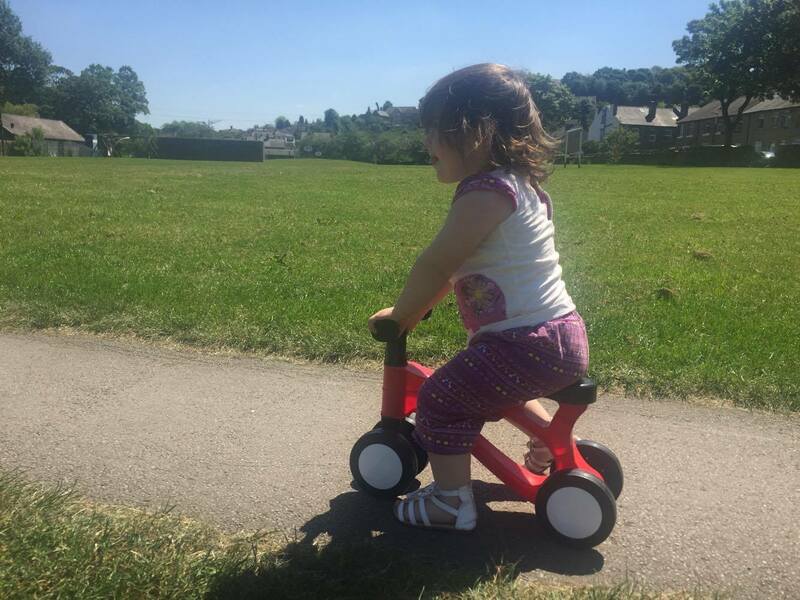 Although all three girls fit on the bike which has a weight range of up to 100kg, L decided that she would do the review herself as she is the only child that fits in the recommended age category (18 - 36 months). We took it to the park to try out. She whizzed up and down the path for some time before attempting to ride on the grass. Unfortunately, riding on grass made it a little harder to ride so she took to carrying it. It is a perfect little bike to take to the park as it easily fits in my pram basket because it's light and compact. 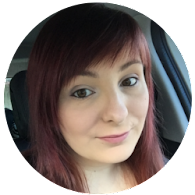 It is also brilliant for indoor use as it is really easy to manoeuvre, super stable and feel safe making her feel confident riding it. 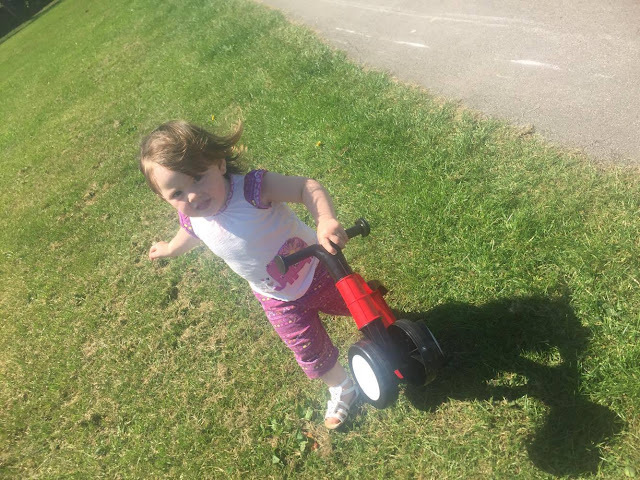 She really loved scooting backwards! 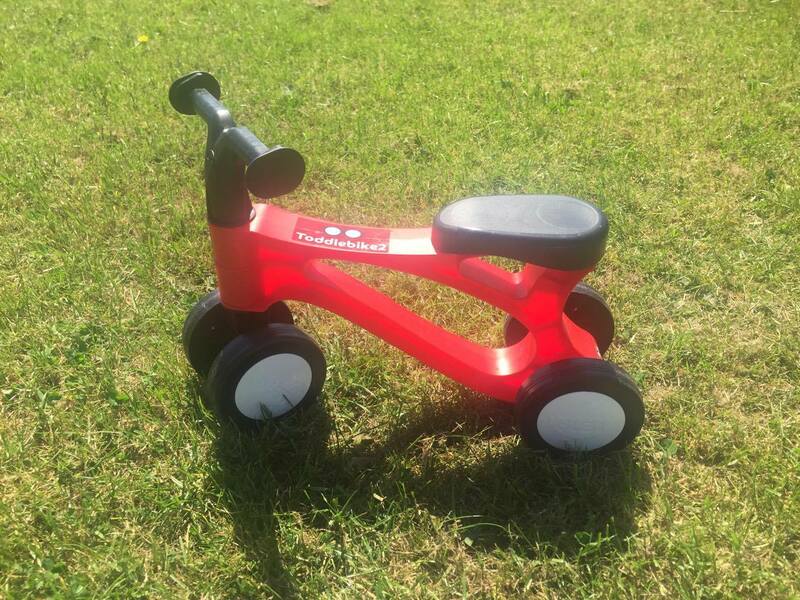 This is the perfect starter bike for any toddler! Giving confidence and balance before transitioning to a pedal bike. They are available on Amazon for less that £25!